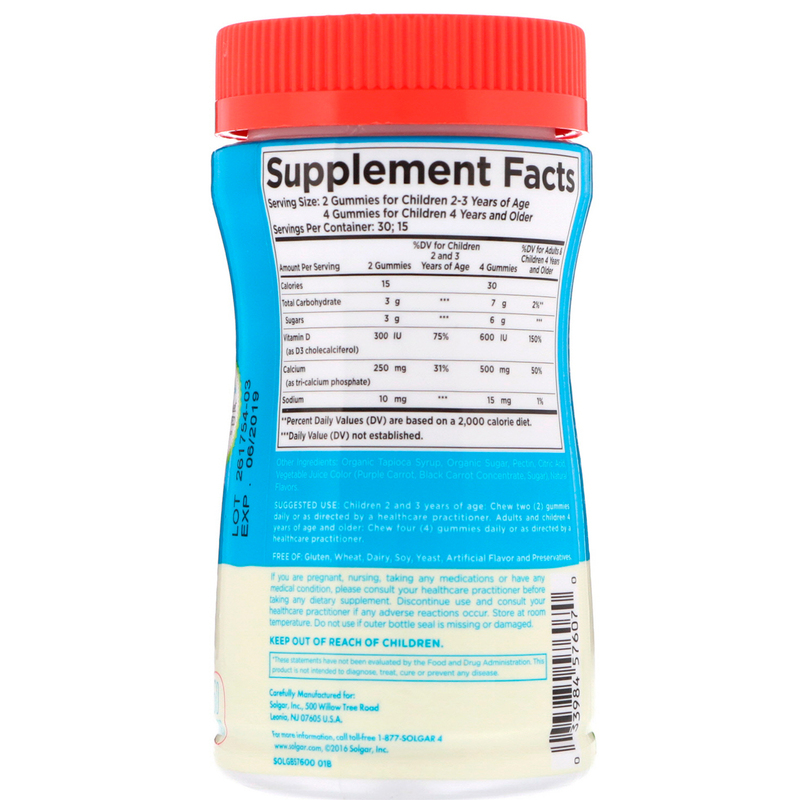 Solgar has been crafting nutritional supplements for generations—over 65 years. And just like all our supplements, U-Cubes Calcium with D3 Gummies benefit from the extensive science and knowledge behind our name. These beneficial gummies can be taken alone or in combination with Solgar U-Cubes Multivitamin Gummies. 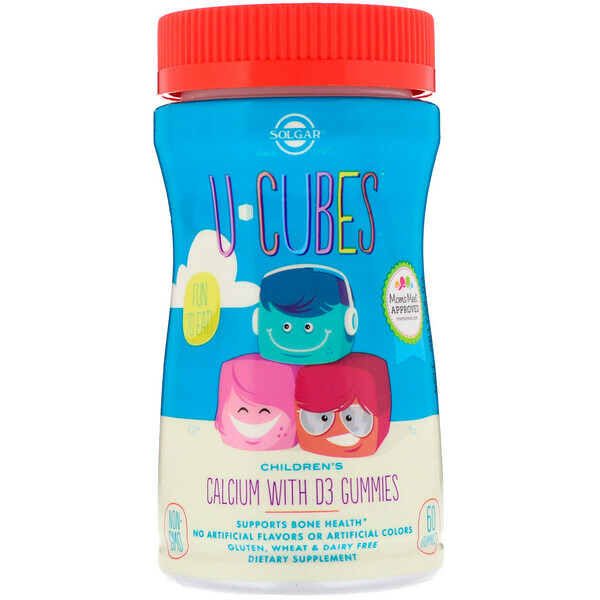 Each serving of tapioca-based U-Cubes Calcium with D3 provides the pediatrician-recommended dosage of Vitamin D3¹…600 IU (per 4 gummies) offers 150% DV of Vitamin D3 for children 4 years and up…and 75% DV (300 IU, per 2 gummies) for children 2 and 3 years of age. Vitamin D3 assists in the absorption of calcium to promote healthy bones and teeth. 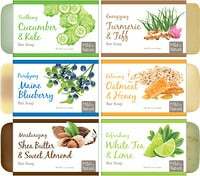 It also supports immune-system health. U-Cubes Calcium with D3 Gummies are made the Solgar way. That means that they’re crafted in small batches to help ensure the highest quality. They’re also non-GMO plus rigorously tested for safety and potency…but never animal tested. The result? A great-tasting gummy that U can be sure is great for your children. Organic tapioca syrup, organic sugar, pectin, citric acid, vegetable juice color (purple carrot, black carrot concentrate, sugar), natural flavors.